Mark it: July 14 at American Airlines Center. 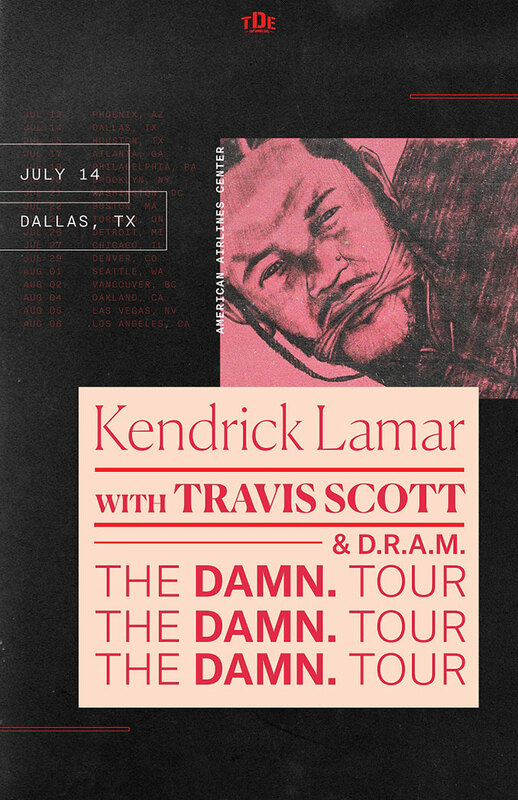 Fresh off the release of the emphatically named DAMN., a strong and early contender for album of the year, Kendrick Lamar is hitting the road, arriving at American Airlines Center on July 14. Opening acts are D.R.A.M. — great — and Travis Scott — eh — but Lamar, probably the best rapper alive, is worth the price of admission alone. Holders of American Express credit cards get first dibs on tickets in a presale beginning Tuesday at 10 a.m. The rest of us have to wait until Friday at 10 a.m. Ticket link is right here.